Sage 200cloud Report of the Month - Winter Reports! As I am sure you are already aware, Sage release monthly reports for Sage 200cloud totally free of charge! These reports are referred to as the ‘Report of the Month’ and are released towards the start of each month. The reports have either been asked for by Sage Partners or assessed by Sage from the needs of customers. They are for a variety of different areas including, Fixed Assets; Sales ledger; Price Book; Purchase Ledger and many more. We release quarterly blogs posts to keep you updated on the last three months reports. They list the information you can get within each report. There will also be screenshots and a link to the page to find the report. All the reports available are compatible with Sage 200cloud Ver. 8 (2011 Service Pack 7) onwards unless otherwise stated. The first report to look at was released in January. The report is for Purchase Order Processing (often abbreviated to POP). It is designed to show the purchases by the supplier and nominal code for the purchase order module. 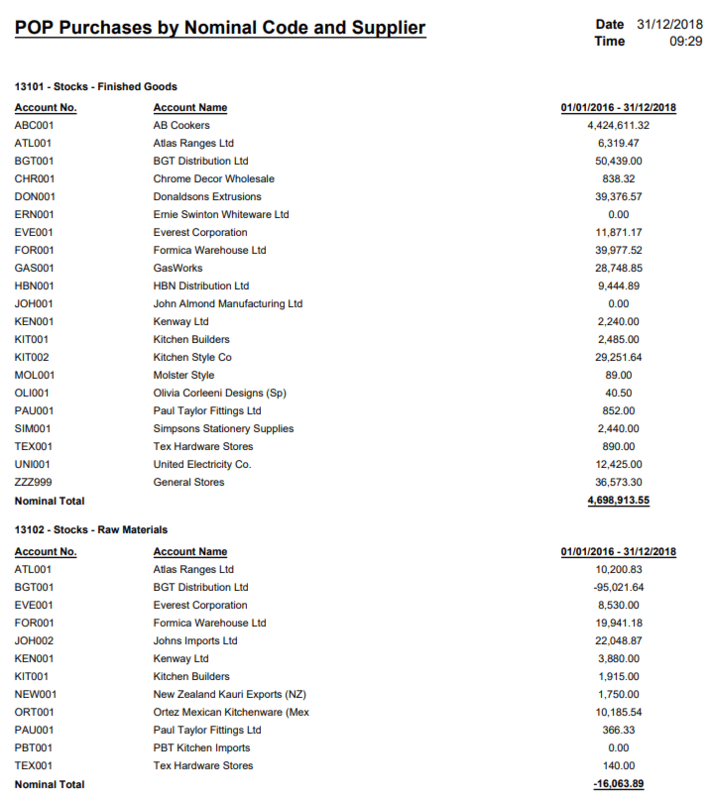 This report will be useful when you want to look up what was purchased between certain dates. You can also search by all or specific suppliers and specific nominal codes as well. The report isn’t industry specific. The second report of the blog is from February, the report is for Sales Order Processing. The report enables you to bring back a list of sales orders for suppliers grouped by Customer Analysis 3 field. This will be useful if you use the field Customer Analysis 3 and want to view your current open orders. When you view the orders it will only show one line. The report isn’t industry specific. The third and final report for this quarter is from March. The report is for the Price Book. This report will bring back a list of Price Lists, which have been set up within your system. This can be really useful as a point of reference. Note: Sage 200 2011 Service Pack 7 and above. Where can you get the Reports from? Do these reports sound like your cup of tea, then find them here. The webpage has the full list of free reports, have a look and see what else you may have missed out on. It’s split into the various sections which include the Report of the Month, Archive, Free of Charge Report Library and the Wish List Report Library. The Free of Charge Report Library are reports which Sage have created and made available to their customers download for free. These are listed under each other modules in Sage 200cloud for you to access and look through easily. The Wish List Report Library is similar to the Free of Charge Report Library as these are also free but have been requested in the Ideas Hub (learn about it here) from Sage 200cloud Customers. Sage has made these available and again have listed them per module. Once you have downloaded the report you want, you can use our guide “How to add a Report to your Menu”. Please click here to see a full list of our help and user guides, including “How to add a Report to your Menu”. Remember, if you don’t find the report you are looking for you can always speak with Sage and request a report from them directly. As long as you are a member of Sage 200cloud Services then you get three free reports from Sage annually! Again, see our list of help and user guides on how to request this. If you have any questions about reporting in Sage 200, or would like to learn to build your own reports why not take our Report Designer Course. 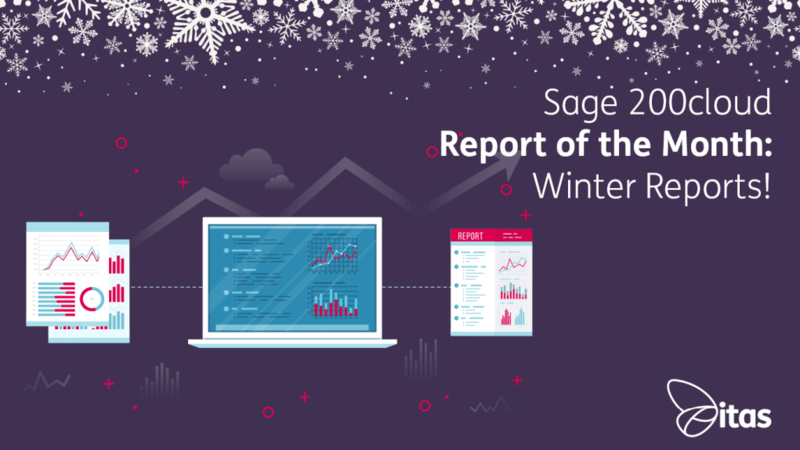 Home » Sage Blog » All Sage Blog Posts » Sage 200cloud Report of the Month – Winter Reports!